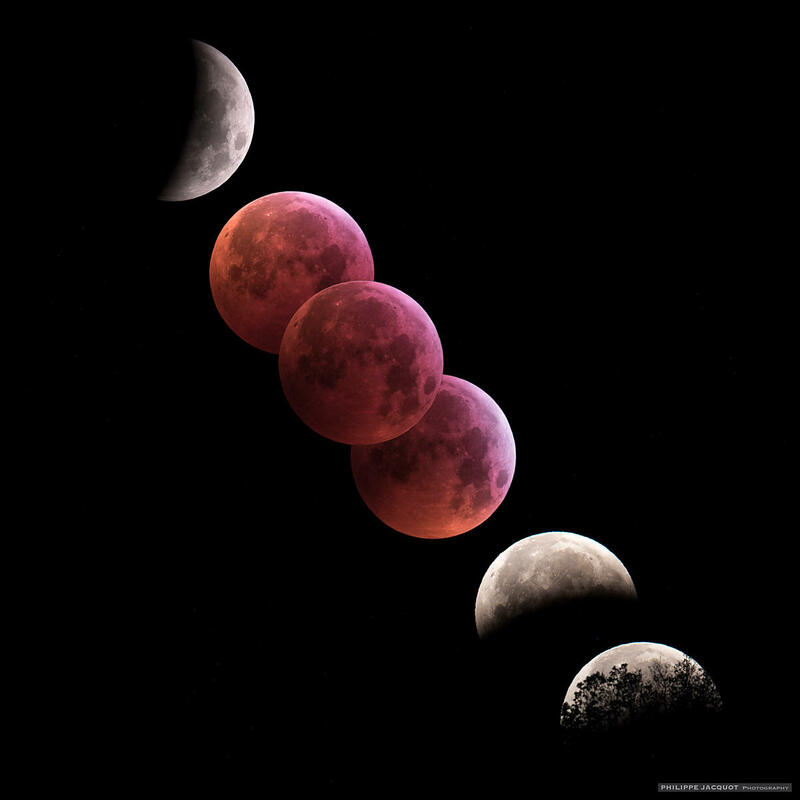 Different phases of the total moon eclipse of 21 January 2019, seen from Upaix, Hautes Alpes. The upper image shows the shadow of the Earth that has already covered a substantial part of the lunar disc. For the three central images, the gradations of brightness are perceptible between the beginning, middle and end of total coverage. This is followed by the last partial phase with the moon very low on the horizon, hence its warmer coloration. Still half eclipsed, Selene finally disappeared behind the trees.